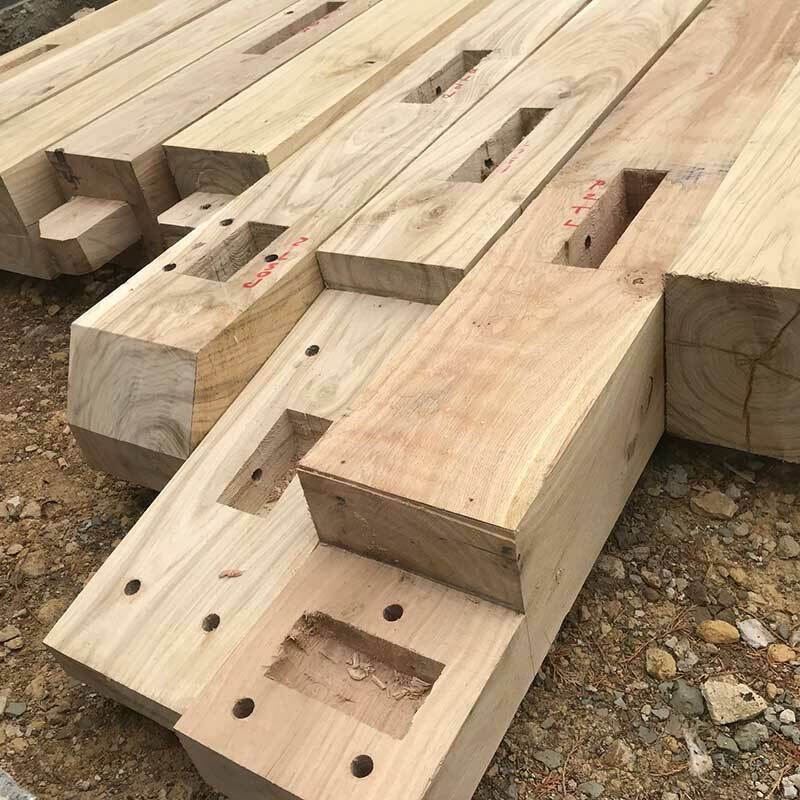 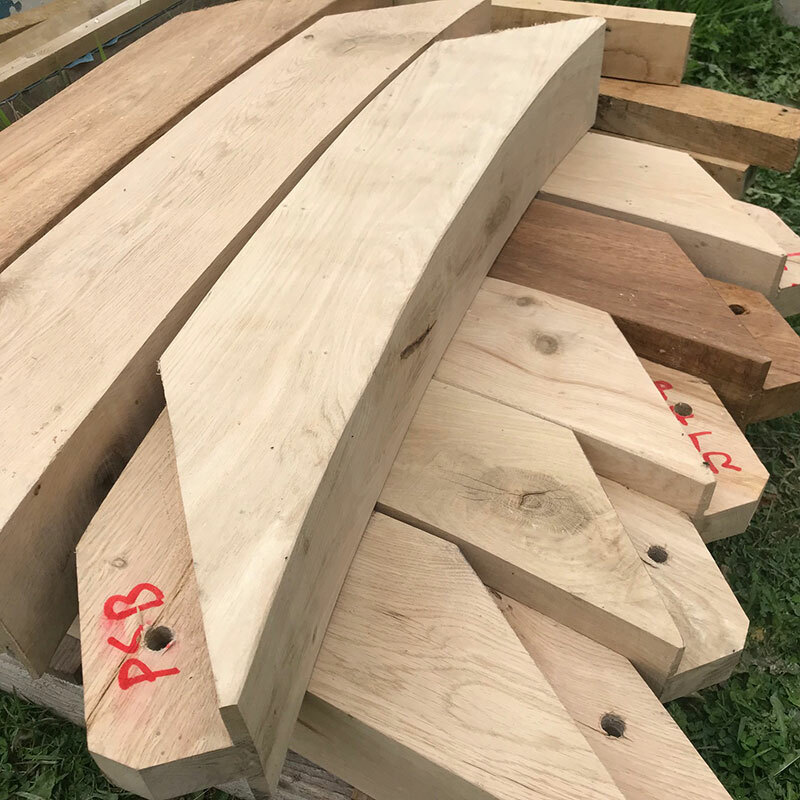 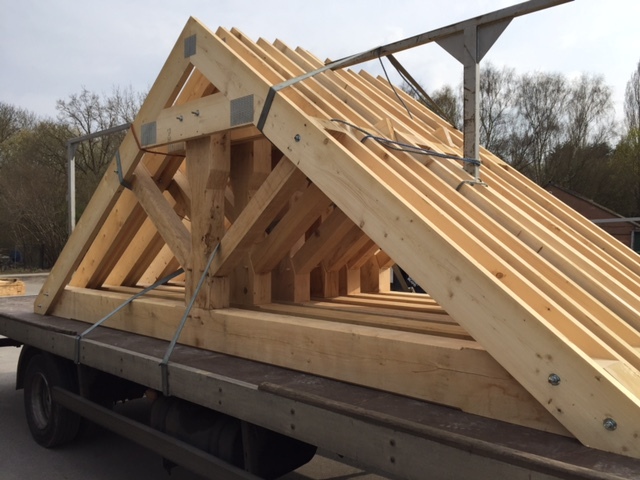 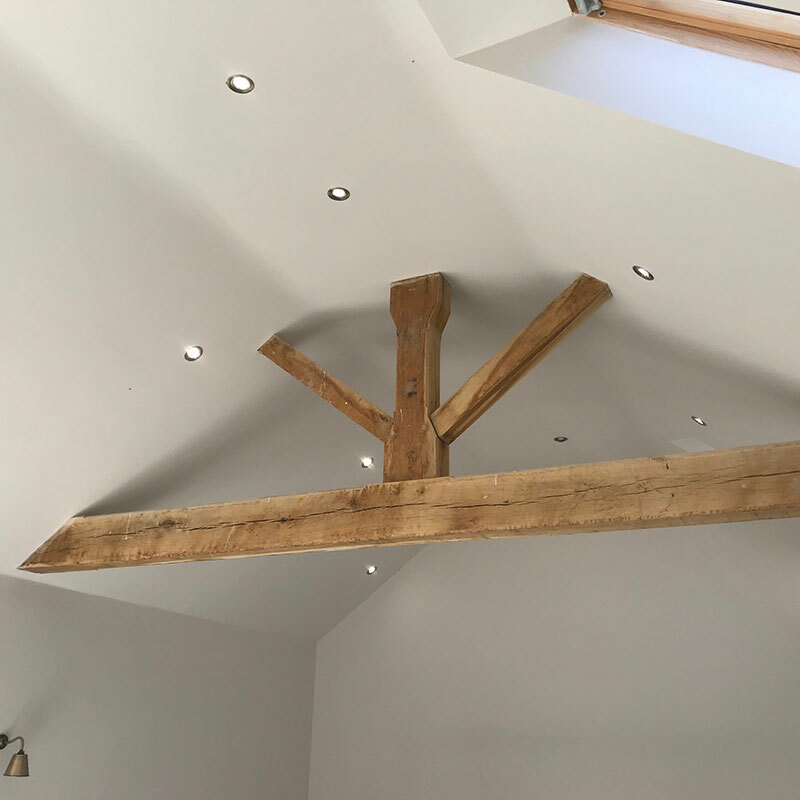 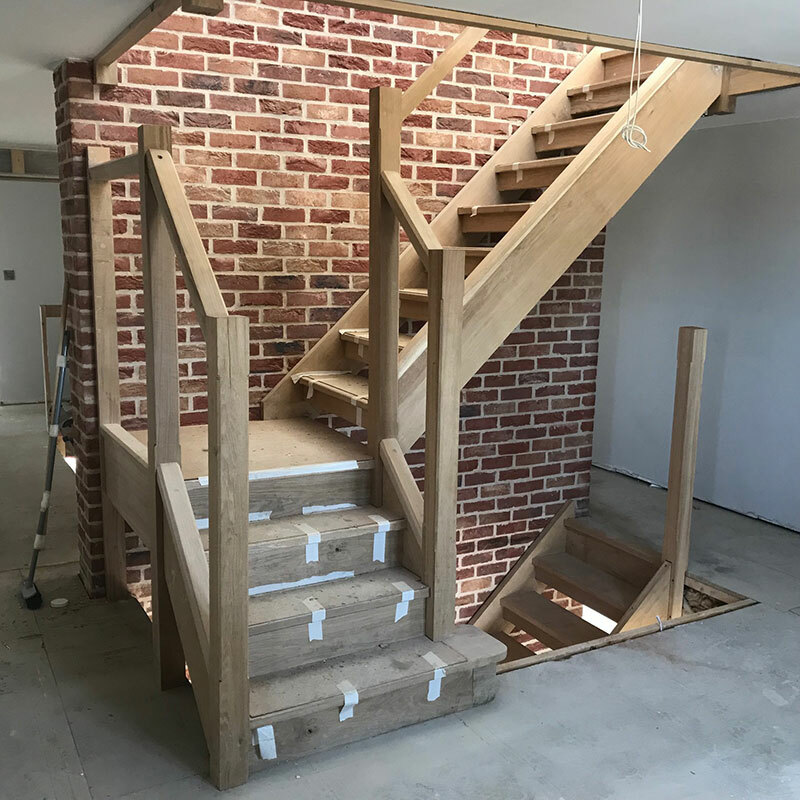 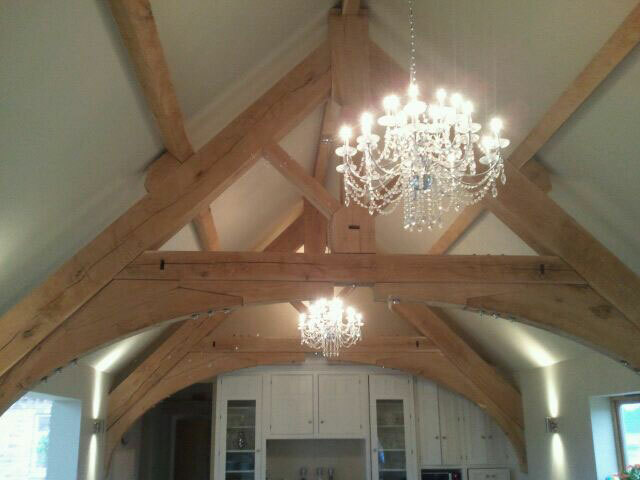 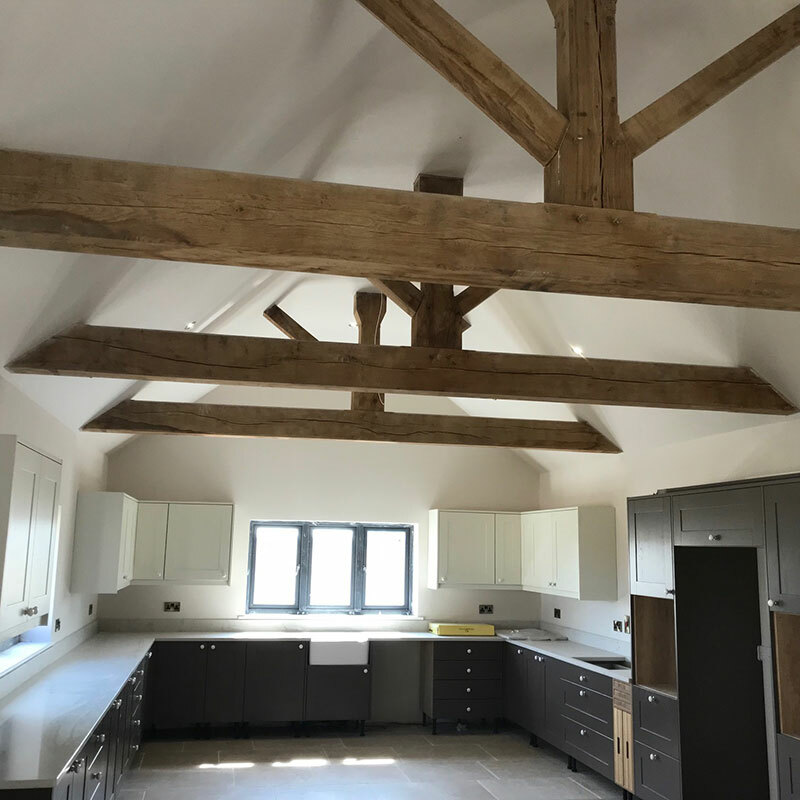 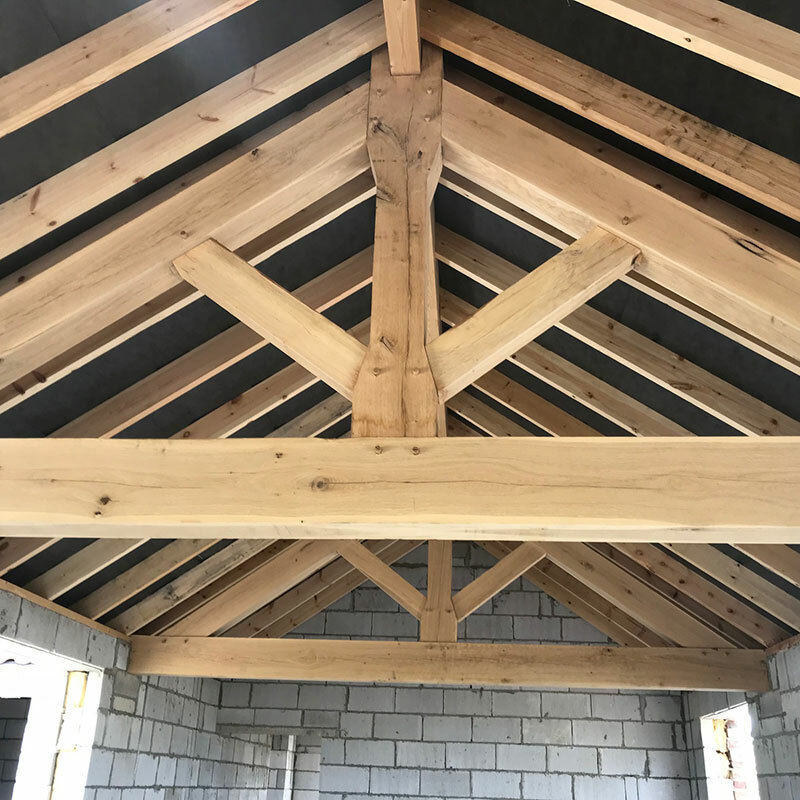 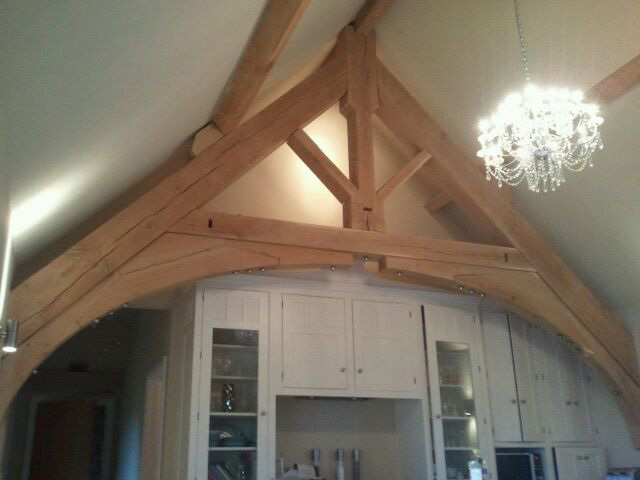 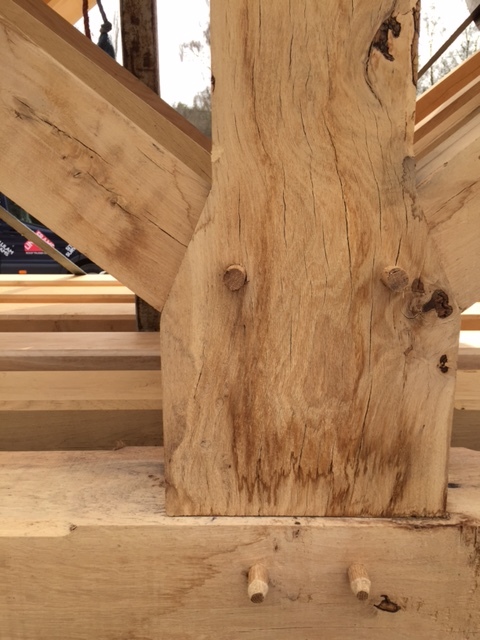 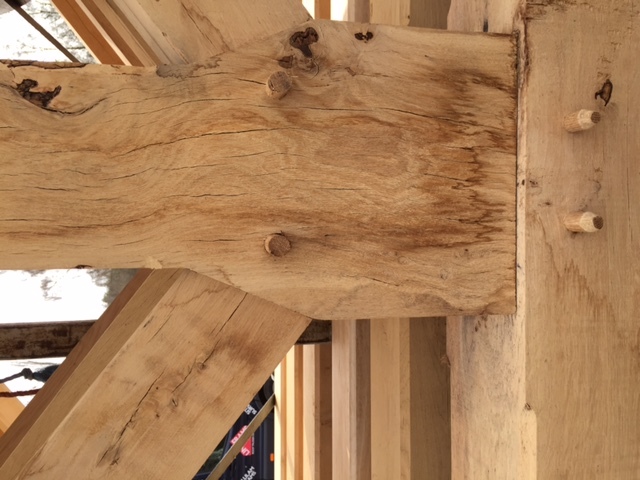 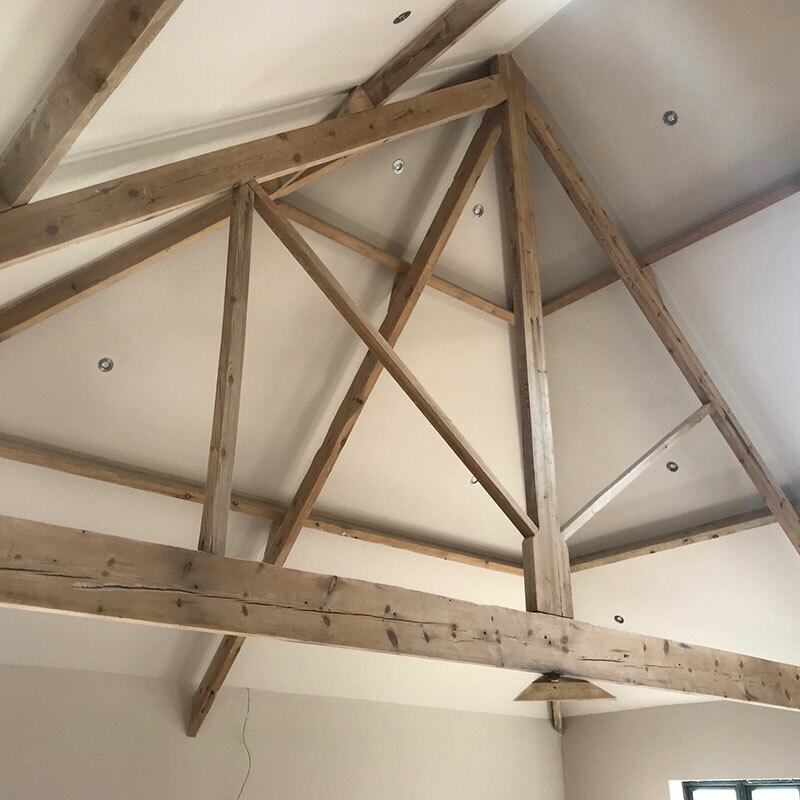 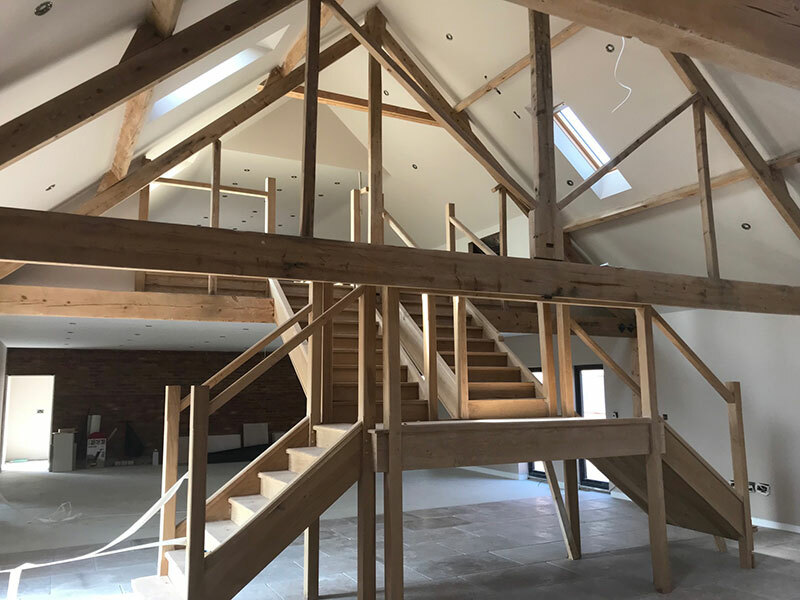 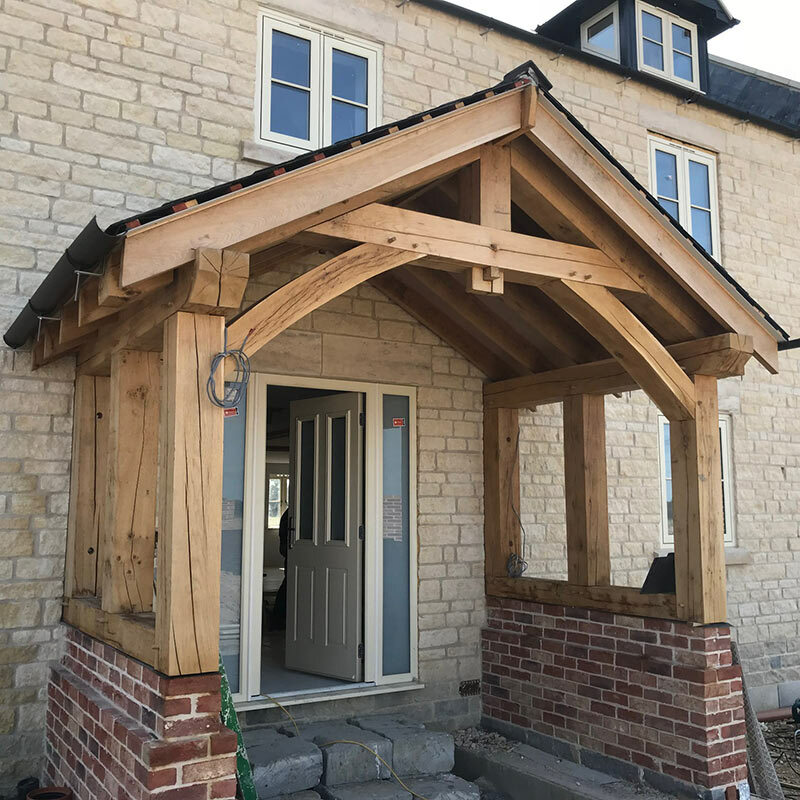 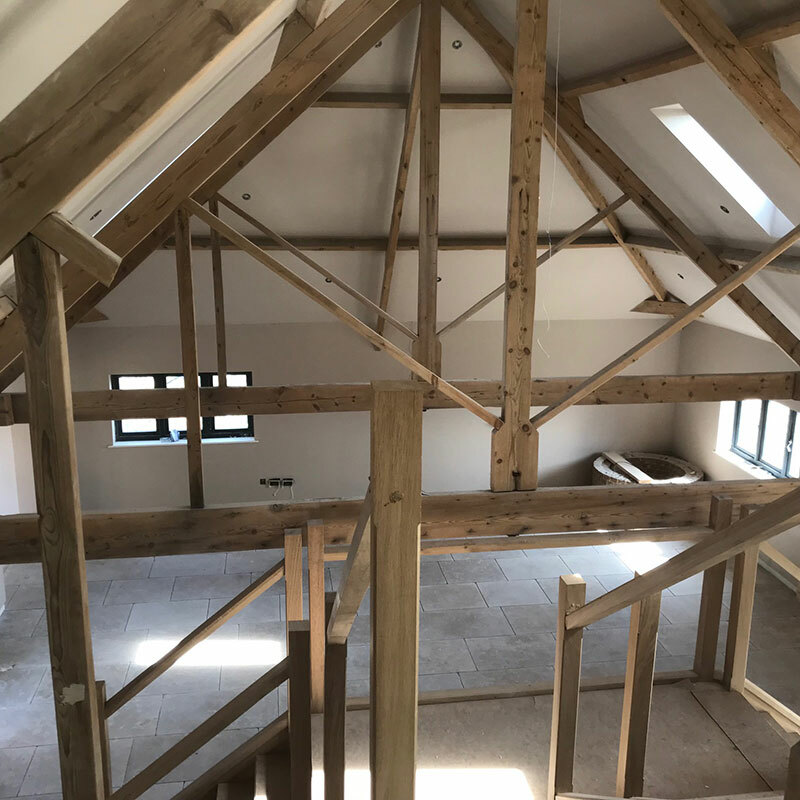 This style of truss incorporates an oak feature truss within a standard raised tie truss, This keeps cost down but gives an open vaulted feature within the space. 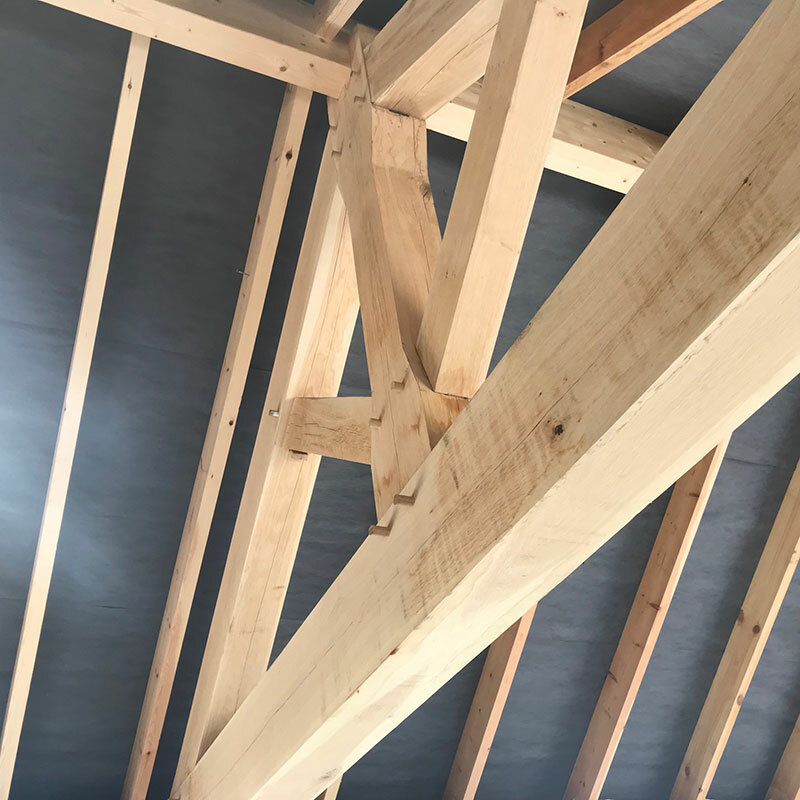 These can be spaced at whatever centres are required and the gap between the feature truss is filled with single raised tie trusses. 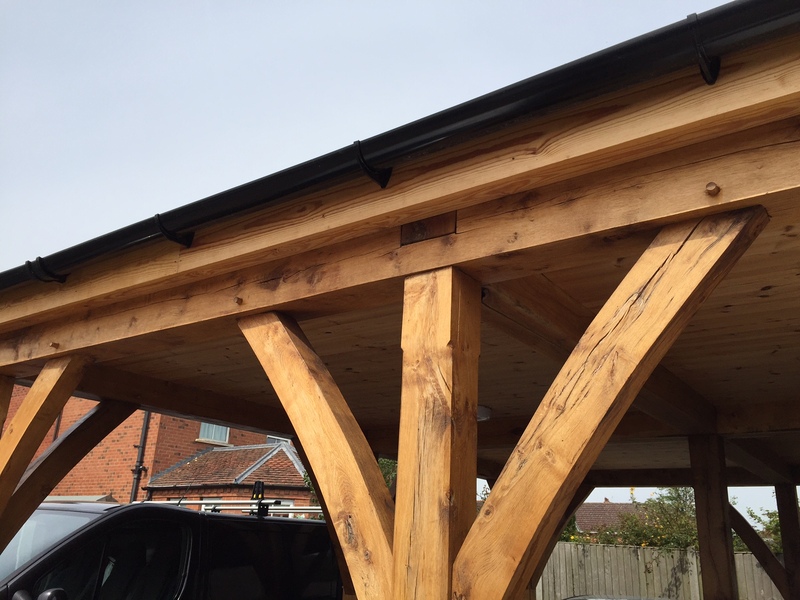 No need for a ridge beam or purlins with this design. 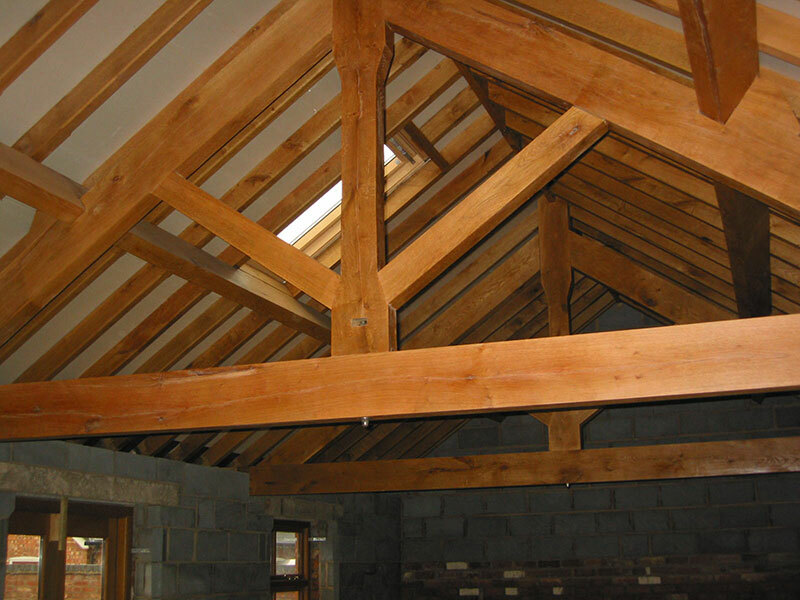 We can also manufacture Soft wood or Oak frames as seen in the above picture. 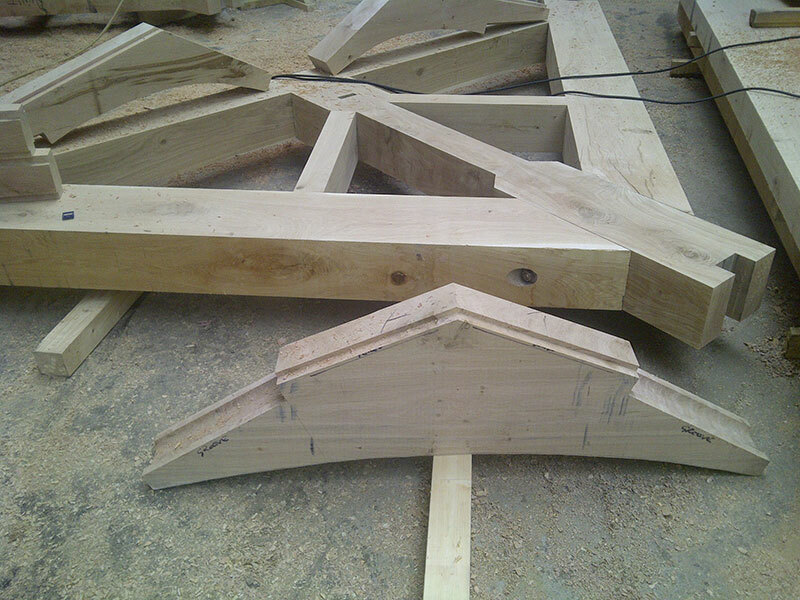 These can be used for sunrooms, porches, or as a double height part of the building. 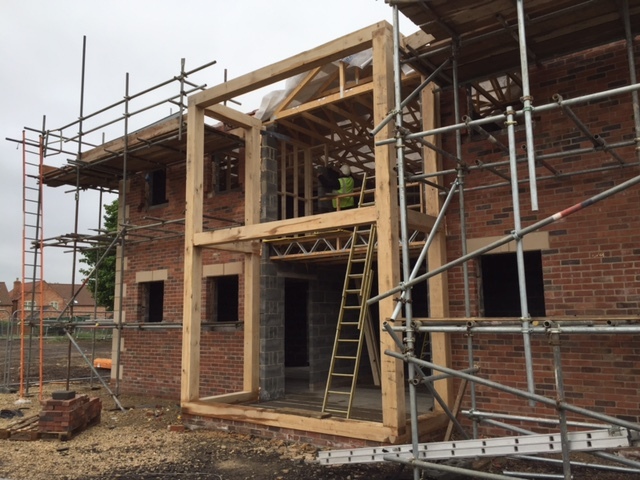 The frame above has a entrance hall in the lower portion and part of the master bedroom in the top half.